Finally, bits and bobs of info have been released for Assassins Creed 3. Happy days indeed. 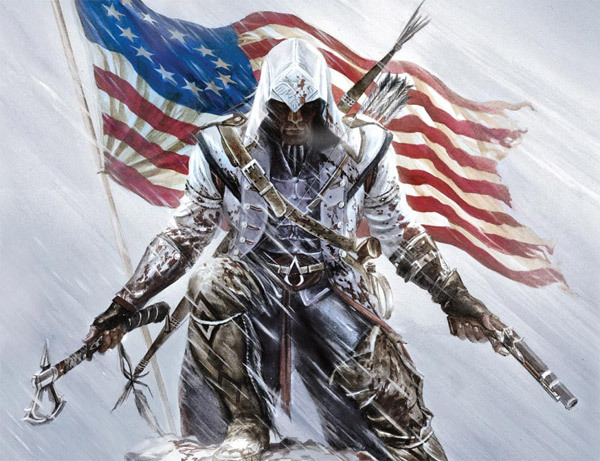 So the game is set to take place during the American Revolution which, to be fair, is obviously a step in a different direction for Ubisoft as the other games took place in the hustle and bustle of a city where as Assassin’s Creed 3 is mostly set in a place called The Frontier which is a large countryside sort of area. Now I know what people are thinking “how can a game that incorporates a large amount of free running on rooftops and buildings scrap all this for a large countryside”? 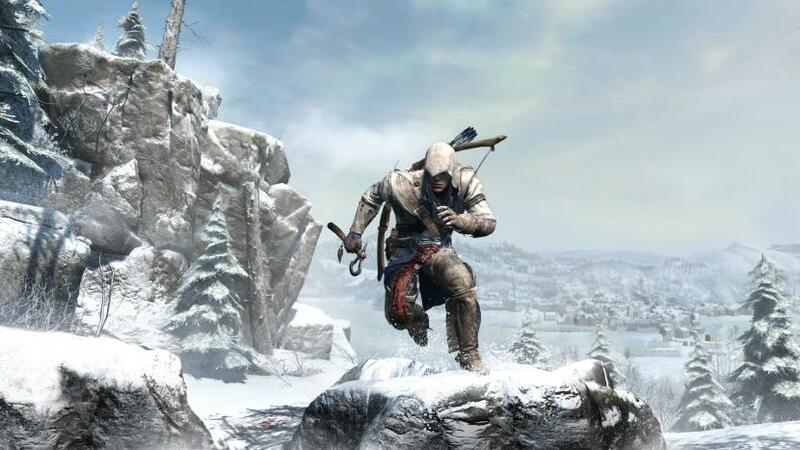 Well Ubisoft have been developing AC3 since the release of AC2 and they have been developing a whole new free running system, this will allow easy free running on trees among other things. The new system will also allow for smoother animation and more combat techniques. There will be a new season element which will allow for different weather types which means Connor will be fighting cunts in rain, sleet, snow, and sun which is definitely a good sign. There are, as it’s the American Revolution, Guns in this game which Connor can use. Duel wielding weapons is also a new feature and Assassin’s Creed 3 is shaping up to be the game changer which will either bring fans back, as the franchise has been dwindling lately, or send them away for good. Desmond Miles is speculated to be more playable than all the other games, YOU DON’T SAY! It’s about time considering Assassin’s Creed: Revelations pretty much ended with that note. All in all Assassin’s Creed 3 is definitely one to keep an eye on. This entry was posted on April 3, 2012 by mrbig1991. It was filed under News and was tagged with Assassin's Creed, gaming, News, Weird name.